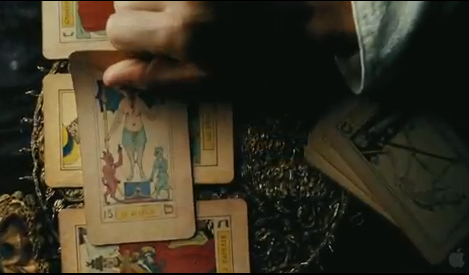 According to the trailer, the new movie Sherlock Holmes 2: A Game of Shadows features a tarot card reader and an original Oswald Wirth tarot deck. (Thanks to Shelley for the heads-up.) Obviously Wirth and Holmes never meet, but wouldn’t that make a great story!!! For those who were blown away by Noomi Rapace as The Girl with the Dragon Tattoo (Swedish version), she is playing the gypsy fortune teller. I’m looking forward to seeing her in a different role. Check out Oswald Wirth’s tarot spread—a reclaimed classic. “In August 2010, a British woman, Laura Tarrant-Brown, addressed a number of members of the ‘International Playing Card Society’, including me, about buying or hiring ‘the original full set of Tarot cards that Oswald Wirth re-drew for his master, Guaita Stanishas in 1889′. It should be used ‘in a film set in Paris/London 1890’. An alternative could be the 1926/27 version of Wirth’s images. Tarrant-Brown did, of course, not have any response on this enquiry except from me. As far as I know, only two decks are known, one in the possession of a Japanese collector (formerly from the R.C.Bell collection of games); the other belonged to the late Belgian collector, Hans Wesseling, whose widow wanted it sold. Guido Gillabel, likewise Belgian collector, took care of the sale. At the time of Tarrant-Brown’s request Gillabel was preparing listing the decks on ebay. I was aware that the Wirth deck was among them so I asked Gillabel if he wanted to sell the deck directly and at what price? Wesseling’s widow wanted EUR 1200.- for it. I would have liked to buy it myself, but don’t just have EUR 1200.- available here and now, and Tarrant-Brown didn’t hesitate. That’s how the deck ended up in the film, and I have been annoyed ever after that I didn’t just buy the deck. “Tarrant-Brown was not very communicative and later she told me that the film was a Sherlock Holmes production but didn’t answer my question whether Wirth and Guaita are characters in the film. She likewise never answered my question of what would happen to the deck once the film was finished. Seeing the beautiful cards followed by all those fiery explosions, made me want to use my body as a shield to protect the deck and yell, For the sake of tarot, save the Wirth treasure! Yes, I got swept up in movie trailer fever. How nice of you to share with us a little behind-the-scenes info about the deck used in the movie. Where can I find this deck?? You can’t find it as it hasn’t been reproduced in exactly this form – the original edition by Oswald Wirth (which is extremely rare). There are a lot of Wirth-based decks, but none of them have the clean, clear simplicity of this version—which was hand-colored. The link to the reclaimed tarot spread in the post shows one modern version and two others appear in the Comments to that post. If anyone knows any different – please let us know. I have been waiting for this movie for so long ! Just saw the movie, and had to check out the tarot cards. Thanks for the info on how they got in the movie. Wish I knew Japanese… that’s pretty amazing. 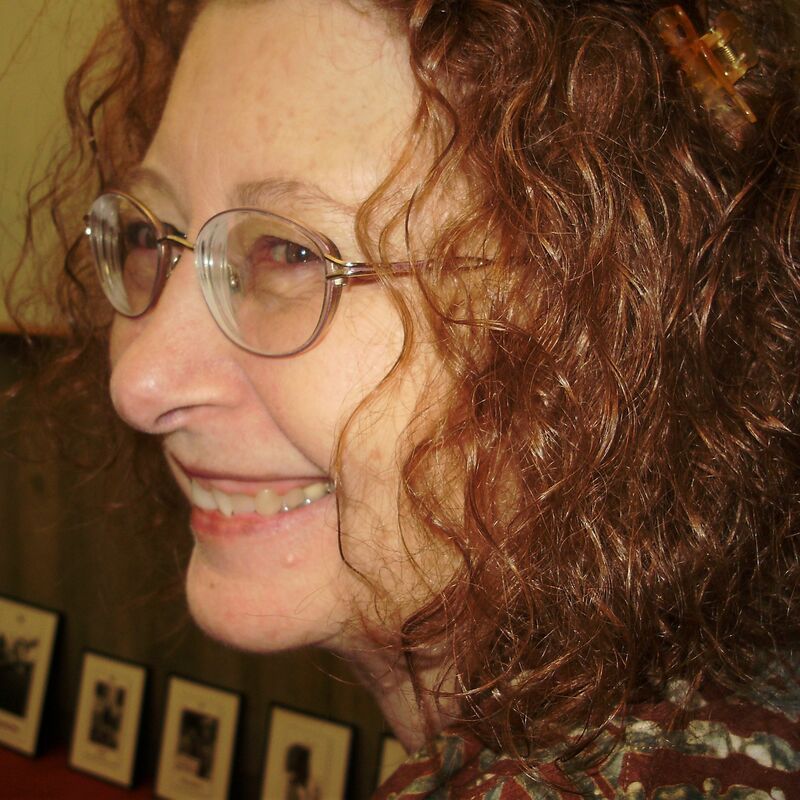 I love your banner illustration at the top, and will be investigating your blog further, MKG. I am not a reader, but appreciate the artwork… my sister, however, is and I will be passing your amazing blog to her. Marloo – Thanks for the heads up on formatting. I use Chrome on a Mac and don’t see the problem so there doesn’t seem to be anything I can do to fix your problem. This is the first time anyone has noted an issue with this particular WordPress design, so I’ll have to see if anyone else has problems.